Anuradhapura is bursting with great places to stay, but to help you out, I've listed my top 12 picks of accommodation in Anuradhapura and where we stayed! If you're backpacking around Sri Lanka for at least a week or more, then you need to visit Anuradhapura. You also need to make sure you're staying in some amazing accommodation in Anuradhapura! Well, thankfully I’ve done my research when looking for my own accommodation, and I’ve put together 10 hotels and guest houses that are perfect for your trip! 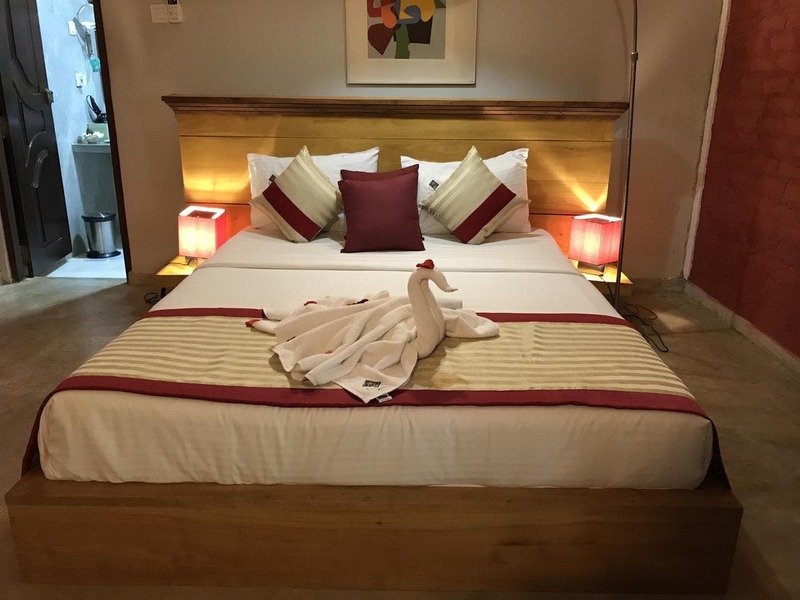 All the accommodation in Anuradhapura that I mention will have a rating from booking.com because it’s the booking site that Brad and I always use to book Anuradhapura hotels. 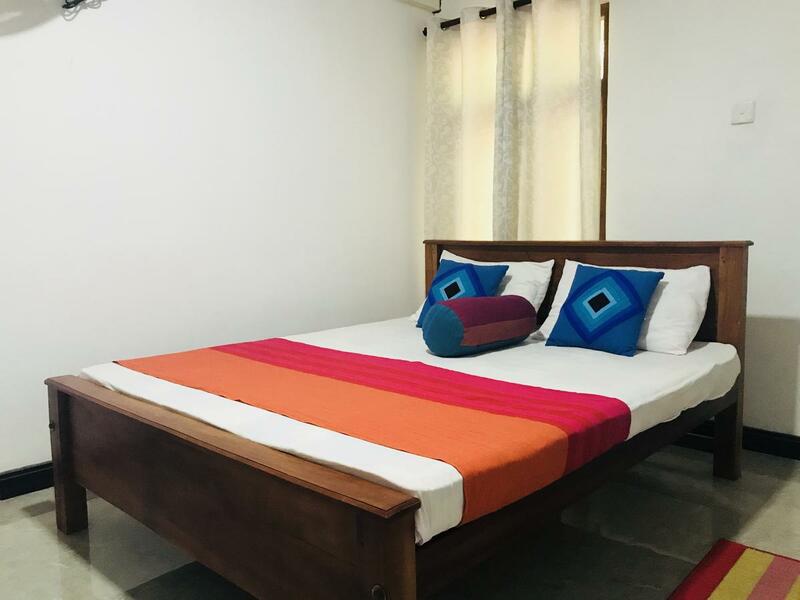 The choice of hotels and guesthouses in Anuradhapura is a real treat and there is truly something to suit everyone from budget backpacker to mid-range seekers and those who enjoy a touch of luxury. So sit back and start getting excited about where to stay in Anuradhapura. 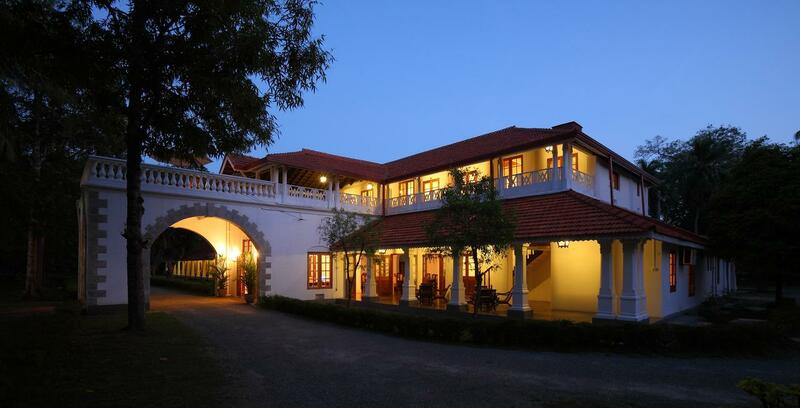 This 4-star hotel is a perfect touch of luxury for a stay in Anuradhapura. It boasts an outdoor swimming pool, perfect for relaxing after a day of exploring, bbq facilities and offers stylish rooms. 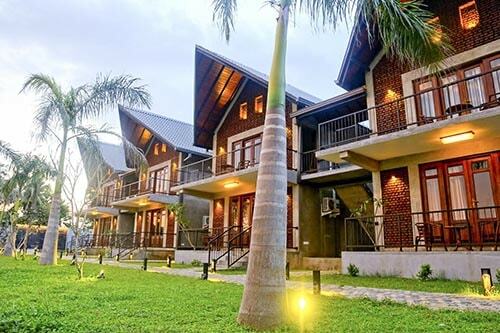 Another 4-star piece of accommodation in Anuradhapura that offers fantastic services, stylish rooms, and an outdoor pool in beautiful surroundings overlooking rice paddies. There is also a garden for relaxing and all rooms come with air conditioning. This truly looks like a beautiful place. This is a fantastic choice of accommodation in Anuradhapura simply because of its great value. Cost: prices begin at £47 per night per double room based on two people sharing. Looking for budget accommodation in Anuradhapura? 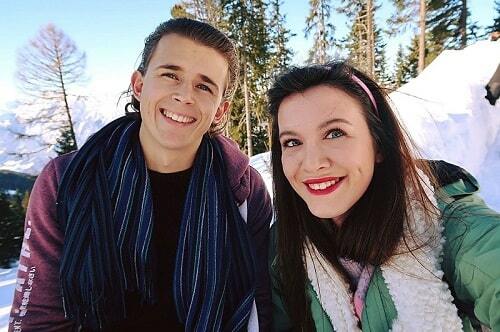 Then this is a great choice. This simple, yet stylish accommodation offers double, triple and family rooms with private bathrooms. Rental bikes are also possible. Cost: Prices start at £9 a night per double room based on two people sharing. 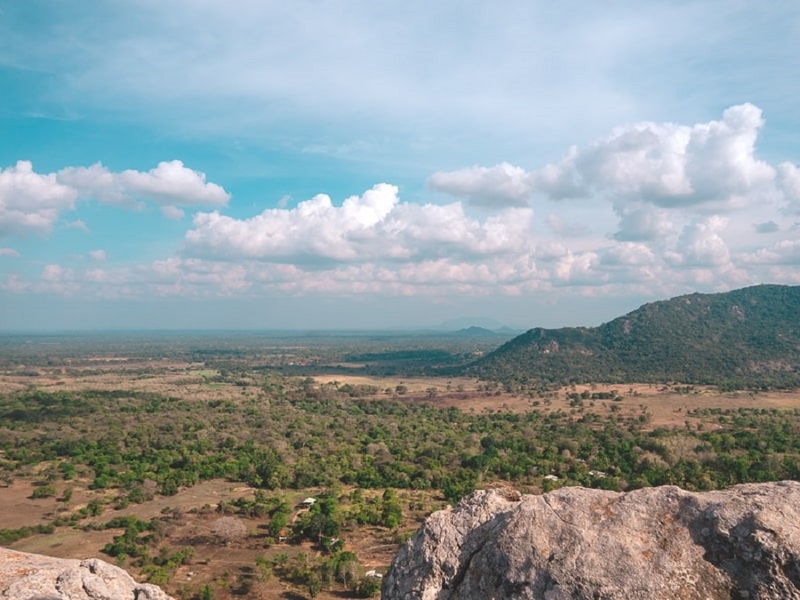 Located in the cultural centre of the UNESCO heritage site that is Anuradhapura, you can’t get closer to the action than with this accommodation in Anuradhapura. 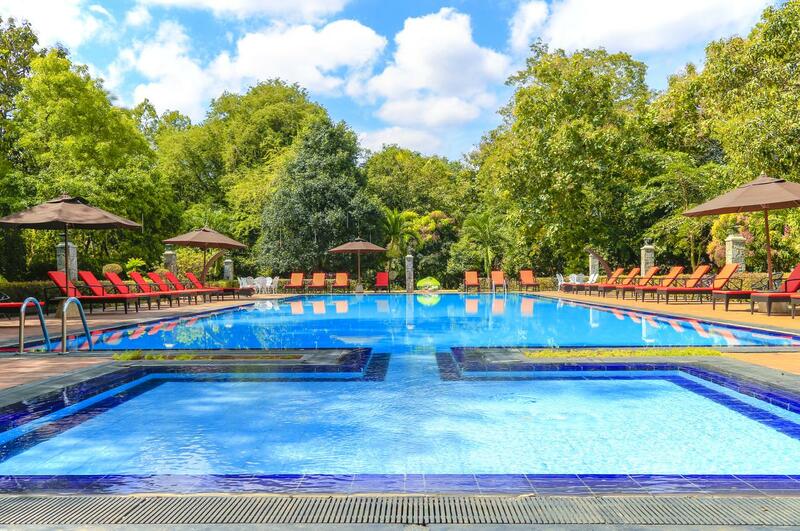 A 4-star hotel boasting luxury and an outdoor swimming pool. Cost? Prices begin at £54 per night per double room based on two people sharing. With beautiful rooms, stunning views and a fabulous outdoor swimming pool, this accommodation in Anuradhapura is perfect for those seeking relaxation. It’s located on the lake so naturally in a beautiful setting, and all rooms come with a minibar, private bathroom and aircon. This is another brilliant choice of accommodation in Anuradhapura for budget backpackers, and it’s where Bradley and I stayed. I wanted somewhere cheap, clean, good air con and rated highly for WiFi and that’s what I got. 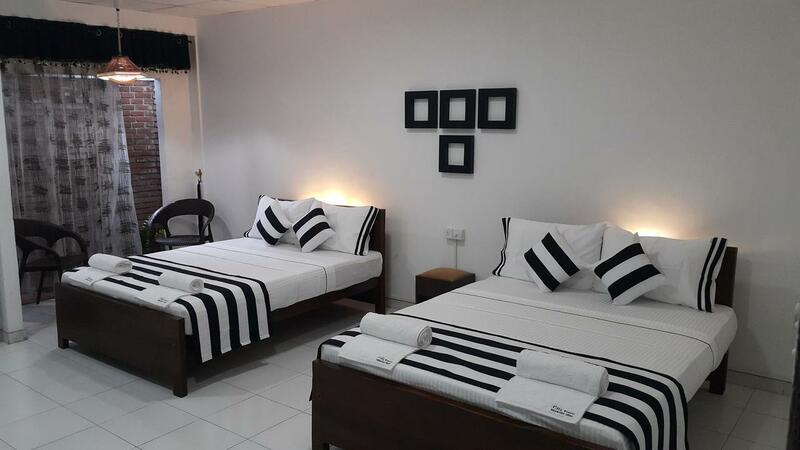 Offering beautiful rooms and comfortable amenities, this hotel in Anuradhapura is perfect for those seeking a comfortable stay in a beautiful hotel. Bathtubs are available too which is also a bonus. Cost? Prices begin at £67 per night per double room based on two people sharing. 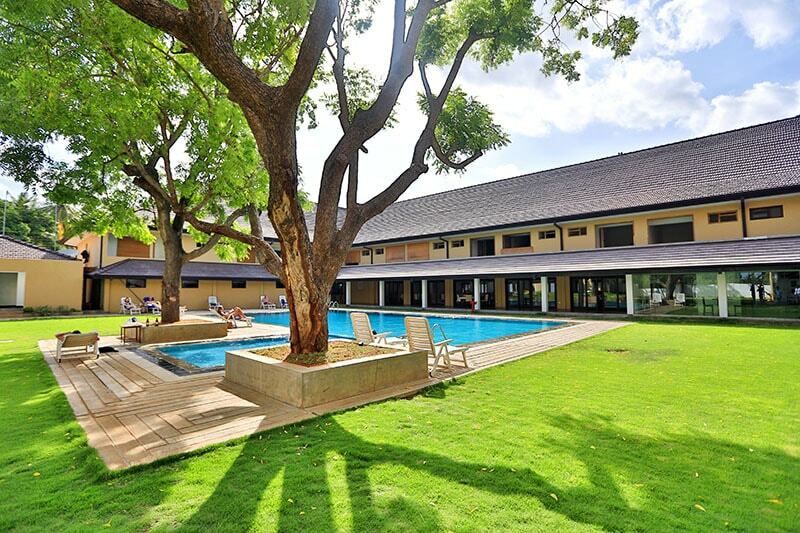 When it comes to 5-star hotels in Anuradhapura, there isn’t the biggest level of choice, but this one ticks all the right boxes and it’s fantastic value too. The hotel features a gym, swimming pool and stylish rooms. There is even a hot tub available. Located in a serene and lush environment, this is the perfect hotel in Anuradhapura for relaxation and tranquility. A swimming pool is provided, alongside a garden to relax in and bbq facilities. All rooms are comfortable and stylish and come with air conditioning and views. The rooms are modern and beautifully decorated. 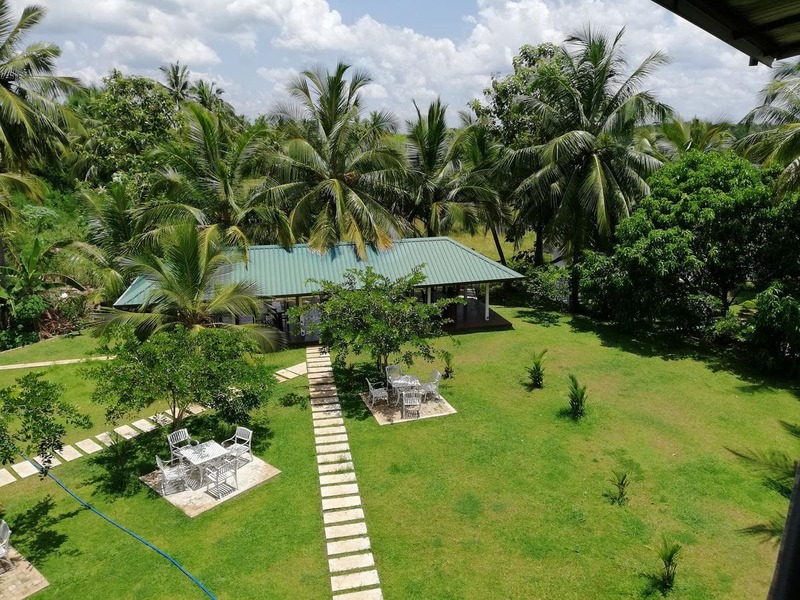 Located in luscious green surroundings, if you’re looking for accommodation in Anuradhapura to relax in nature, then this is the perfect choice for you. Featuring clean and comfortable rooms with balcony garden views, the accommodation is in a a great location to explore local ruins. Cost? Prices start at £19 per night per double room sharing. 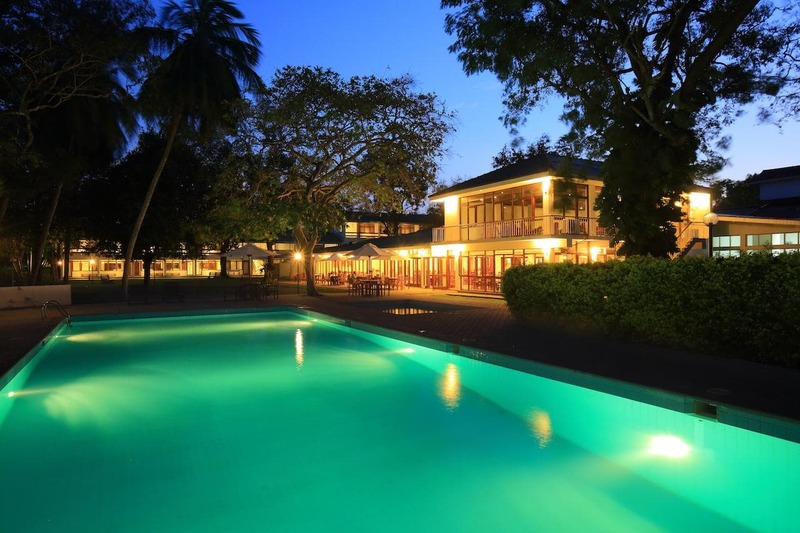 Last but not least, my last pick of accommodation in Anuradhapura is the City Resort. It offers stylish rooms with comfortable beds located just 1.2 km from the sacred city. A garden for relaxation is provided, and, car and bike rental is possible. An on-site restaurant is also available. Cost? Prices begin at £18 per person per double room sharing. If you opt for a tour included, then prices begin at £59 per family room per night which can accommodate up to 4 people, so works out quite good value. What are the best things to do in Anuradhapura? Since it’s a world heritage site, there is a lot of culture and history to be discovered in Anuradhapura. Thankfully we’ve put together a complete guide on what to do in Anuradhapura, to help you plan your fantastic trip! I hope you’ve enjoyed my post on accommodation in Anuradhapura. All my choices are based on the initial research I did to find accommodation for Bradley and I. I typically spend too much time lusting over fabulous hotels, and finding great value deals, and that’s what this post contains! Comment below if you’ve stayed in any of the properties, or you think I should add anymore to the list.